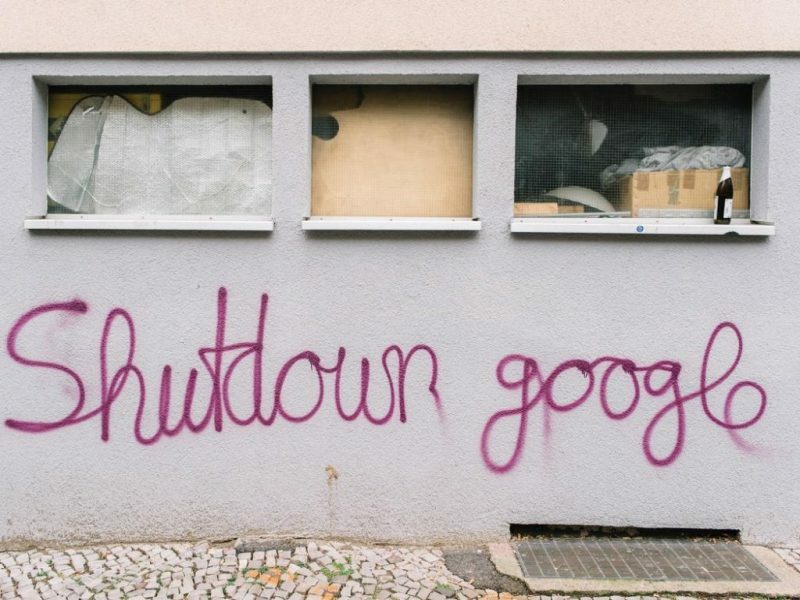 Google plans to implant a “Google Campus” in Kreuzberg, Berlin. We, as a decentralized network of people are committed to not letting our beloved city be taken over by this law- and tax-evading company that is building a dystopian future. Let’s kick Google out of our neighborhood and lives! What I find interesting is that not only are people organising against Google, they’ve also got a wiki to inform people and help wean them off Google services. It is though dangerous to think in terms of “alternatives”, like the goal was to reach equivalence to what Google offers (and risk to always lag behind). In reality what we want is *better* services than the ones of Google, because they would rest on *better* principles, such as decentralization/distribution of services, end-to-end encryption, uncompromising free/libre software, etc. While presenting these “alternatives” or “replacements” here, we must keep in mind that the true goal is to achieve proper distribution/decentralization of information and communication, and empower people to understand and control where their information goes. The two biggest problems with the project of removing big companies such as Google from our lives, are: (i) using web services is a social thing, and (ii) they provide such high quality services for so little financial cost. Whether you’re using a social network to connect with friends or working with colleagues on a collaborative document, your choices aren’t solely yours. We negotiate the topography of the web at the same time as weaving the social fabric of society. It’s not enough to give people alternatives, there has to be some leadership to go with it.